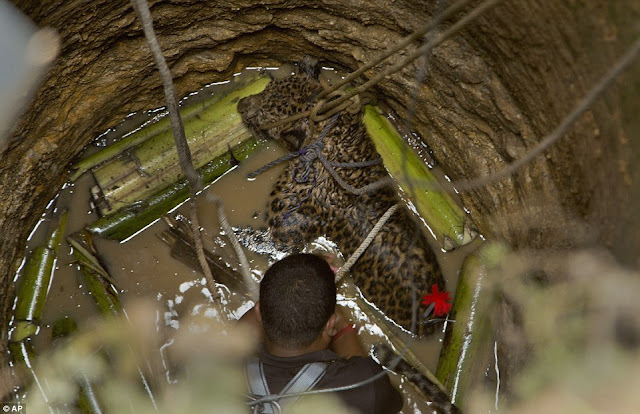 These amazing pictures show the remarkable rescue effort to save a leopard which fell down a well in India while looking for prey. 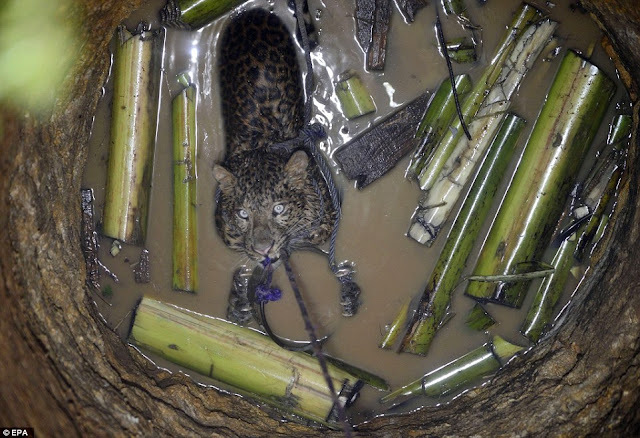 The big cat was pictured with its glowing eyes peering up at the people on the top of the well, who called rescue workers from the Guwahati Zoo to help save the struggling animal. 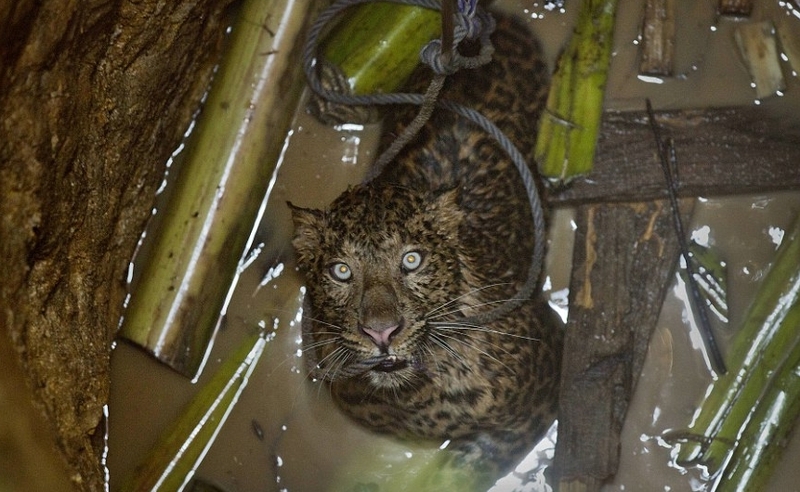 The distressed leopard was drenched, with just its head sticking out of the muddy water littered with broken wood floating on the surface, as it waited from the rescuers to arrive. 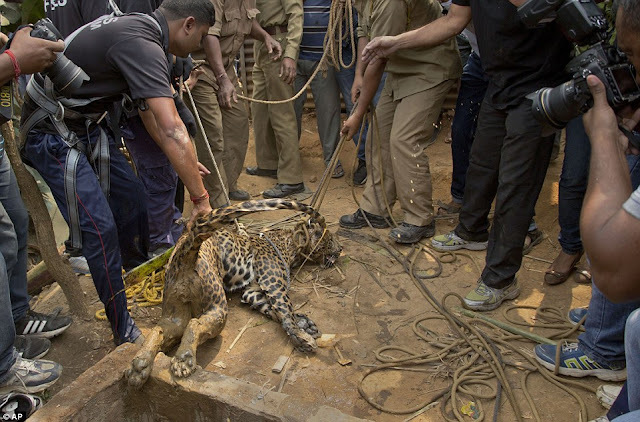 Crowds of people gather to watch the audacious effort, with many lending a hand to pull buckets of water up from the well so that the leopard doesn't drown while unconscious. 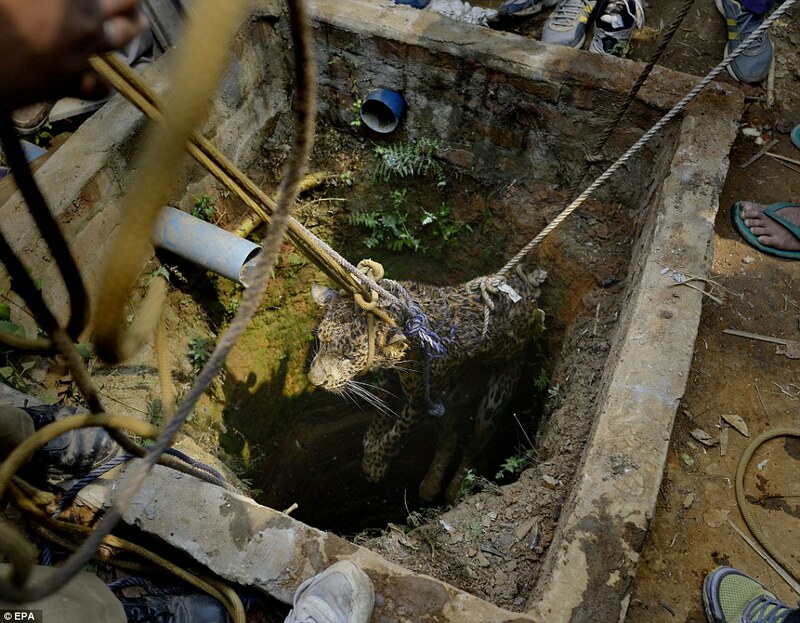 One man carefully climbs down the damp walls of the well and bravely ties the ropes around the animals neck and torso so that the army of helpers at the top can drag it to safety. Responses to "Brave Rescuers Risking Their Lives To Save A Leopard Who Fell In A Well"
I would like to know what happened next... was the leopard released into the wild, or will it pay for its life by spending the rest of it in captivity? 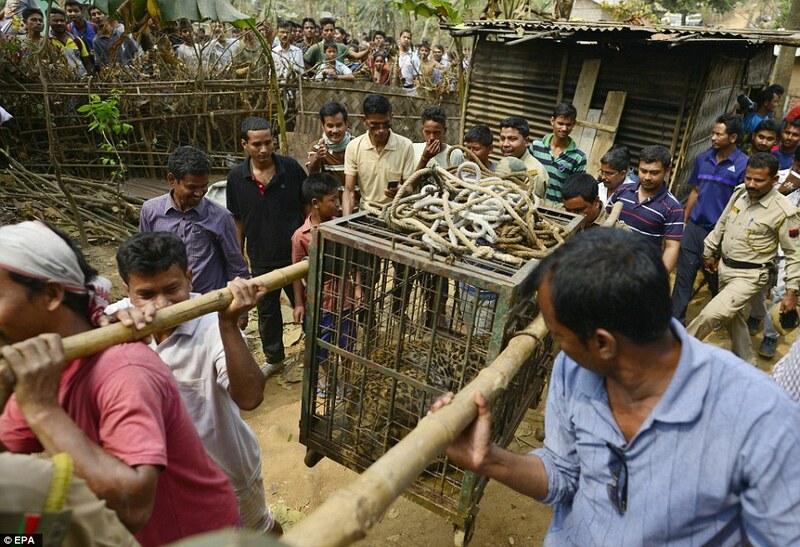 Good people in the world out number the bad ones. thank you thank you gentlemen. Blessings on the Leopard and all who even cared for his life.